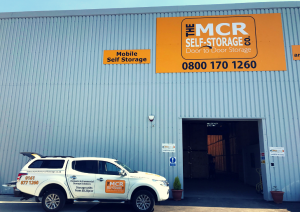 Looking for Simple, Affordable Self Storage in Manchester? At the Manchester Self Storage Company, we have dedicated ourselves to providing simple, flexible, secure and affordable storage solutions for private homeowners, business customers and students. Our mobile self storage service takes all the stress out of storing your personal or business possessions by offering a door-to-door pick up and collect service. Once you have arranged a suitable date and time with us, we will deliver one or more of our secure mobile self-storage units to your door (we even have mini units for smaller requirements). We can provide all the packing boxes and packaging materials you need. Then it’s over to you to load up your goods and secure the unit/s with the padlock provided. We will then return to collect the units and take them to our secure facility. Rather than wasting money on gimmicks, we focus our resources on the things that matter: ultra secure storage, a seamless transport network and excellent customer service. As soon as you call us, our approachable team will make sure you’re looked after. We have over 12 years in the industry so there is nothing we don’t know about self-storage; you can rely on our advice. Our Manchester self storage units are protected day and night by remotely viewable digital CCTV and monitoring alarm systems. Your possessions couldn’t be in safer hands. We also refuse to charge you for the privilege of accessing your own goods. Not only do we provide access free of charge, we will also move your mobile self-storage units to a loading bay for convenient drive up access. We only ask you to contact us at least 24 hours beforehand so we can arrange everything. 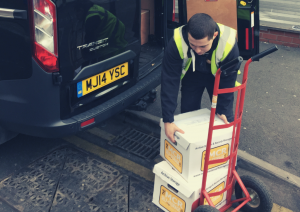 Some of our clients take advantage of our re-delivery service. If you need to check through or add to your storage but are unable or unwilling to visit our storage units, we can temporarily return your mobile self-storage units to your home or business. We do charge a small fee for this. When you need your items returned to you, whether the destination is within the Manchester area, somewhere else in the UK or even overseas, we can securely deliver or ship them. Who do we Provide Self Storage for? As we mentioned in the introduction, we serve private homeowners, business owners and students. Let’s expand on that by looking at some common reasons why people come to us for self storage in Manchester. Sometimes there is a gap between selling a home and buying or moving into another one. In other cases, people are downsizing or moving in with a new partner and their living space is no longer big enough for their worldly possessions. In these scenarios, self storage can come to the rescue. Some people, particularly students, may decide to take a break in their studies to explore the world, volunteer for a cause or take advantage of a career opportunity overseas. Self storage is ideal for securing their belongings while they are away. Space is a precious commodity for businesses and storing excess stock is never an efficient way of using it. Savvy business owners store their spare stock off-site and use the space to rent desks to other businesses. Storing and managing stock is difficult for small e-commerce store owners who may be operating from a home office or even a bedroom. With self-storage, these entrepreneurs can more easily keep stocked up on popular lines while taking advantage of any bulk order discounts from suppliers. There are many more reasons why people decide to choose self storage with the Manchester Self Storage Company. Please call our friendly team on 0161 877 1260 or email us at info@manchesterselfstorage.co.uk for more details or to get the ball rolling.